Welcome to the Kempten Christmas Market in the Town Hall Square. Photo: Courtesy of Bayern Tourism. Unauthorized use is prohibited. Herald in the holidays and Advent this year with an unforgettable visit to one of Germany's classic Christmas markets or Christkindlmarkts as they are known locally. Steeped in centuries-old traditions and customs, you can find a Christmas market in just about every landmark city and storybook village throughout Germany—town squares that come alive with the sights and sounds and smells of Christmas! Lining historic city-centre squares, hundreds of elaborately decorated Alpine chalets are brimming with traditionally hand-crafted gifts and festive ornaments, not to mention the savory indulgences of food and Glühwein or mulled wine of course—hard to resist after their tantalizing aromas reach your cold little noses! With more than 150 Christmas markets throughout Germany—at least one in just about every city and village—how do you decide on which ones to visit? While the markets may appear to be the same from city to city, there are splendid qualities about each that make them uniquely special and festive! Of course it also depends on where in Germany you're going so let me introduce you to 12, as in 12 Days of Christmas, of the finest German markets starting in the north with a visit to Hamburg and then work our way south to enchanting Bavaria. Don't worry about times and information, I included everything you need to know to plan your Germany Christmas market tour! Hamburg Christmas market sparkles beneath its towering Christmas tree and the Rathaus or town hall rising in the background. 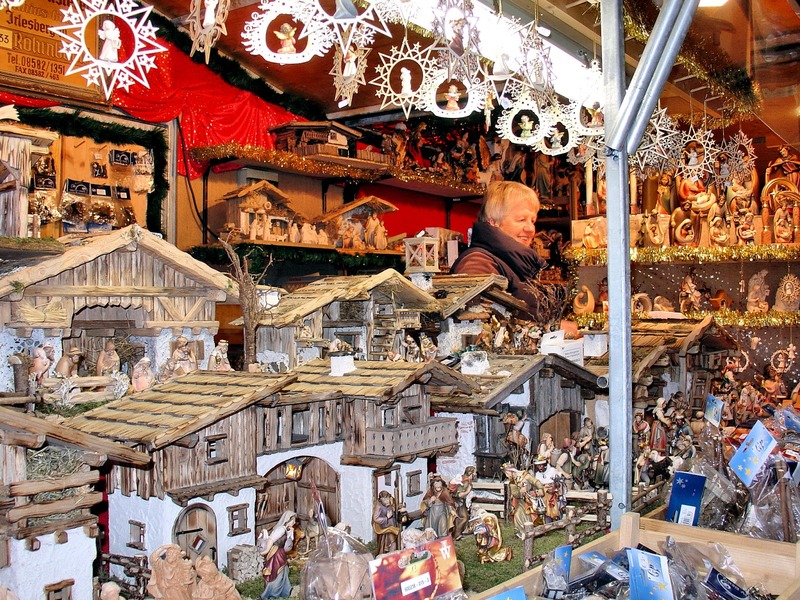 Photo: Courtesy of German Christmas Market.Org.UK. Unauthorized use is prohibited. Throughout Hamburg, you can visit nine Christmas markets but it's the one nestled in the Hamburg Town Hall square where you'll find unique gifts and holiday entertainment. Alpine chalets are bursting with handcrafted German gifts and holiday decorations, many originating from the storied woodcarvers of Tyrol. Also, Aachen's printen pastries are here, a locally produced gingerbread that I discuss in Aachen's market below. Every day at 4 p.m., 6 p.m. and 8 p.m., the big guy himself—Santa Claus flies over the market stalls recounting the timeless tale of our beloved Rudolph. And, every Saturday throughout Advent, Dec. 3—Dec. 24, a Christmas parade rolls on through the city centre! The Town Hall market is open Nov. 27—Dec. 23 daily from 10 a.m.—9 p.m., Fri.—Sat. to 10 p.m.
Domme French Cathedral in Berlin at Gendarmenmarkt. Photo: Courtesy of Gendarmenmarktberlin.de. Unauthorized use is prohibited. 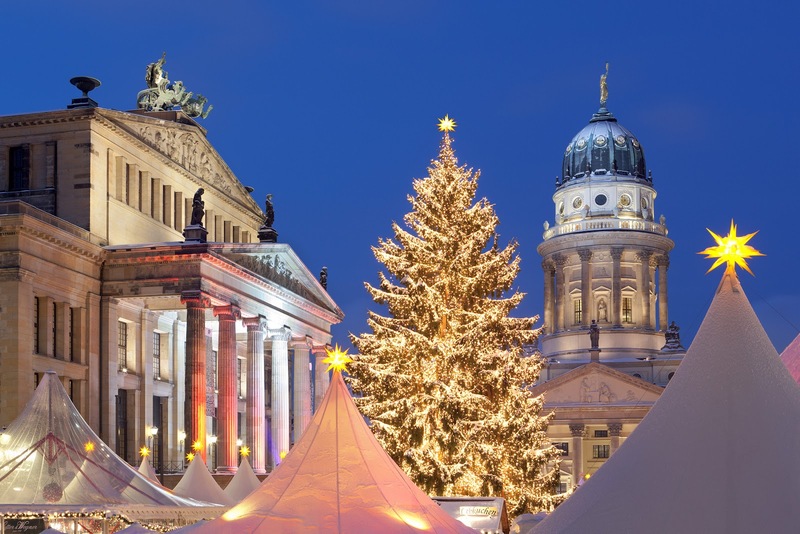 With more than 60 Christmas markets, wow, throughout Berlin, the city is a sprawling visual feast of festivity! Vibrant Christmas lights shimmer in holiday lights and the lanes of Alpine chalets invite you in for a warm cup of mulled wine, perhaps a quick bite of bratwurst and the allure of holiday shopping! The Berlin Christmas market at the Red Town Hall or Berliner Weihnachtsmarkt am Roten Rathaus. Photo: WikiMedia.org. Spandau: Spandau Old Town is Berlin's largest and is only a short train ride away from the Berlin city centre. With more than 400 chalets on the weekends, this Christkindlmarkt has all holiday trimmings including Christmas trees, live performances, a living Nativity at Reformationsplatz at the St. Nicholas Church. Charlottenburg Castle: Also known as Schloss Charlottenburg, this castle is home to the renowned Charlottenburg Castle market or Weihnachtsmarkt Schloss Charlottenburg which surrounds the fortress and even extends into its interior. Some of the highlights include the largest Nativity scene at the Royal Children's Market and daily choir performances on the castle stage. Staatsoper and Opernpalais: At the Staatsoper and Opernpalais markets, you'll find historical settings replete with all the festive embellishments of a traditional market plus a living Nativity and a romantic coach-ride tour through the old Berlin city centre. Weihnachts Zauber Gendarmenmarkt in Berlin welcomes holiday visitors with the promise of sweet confections, scrumptious morsels and spicy mulled wine. 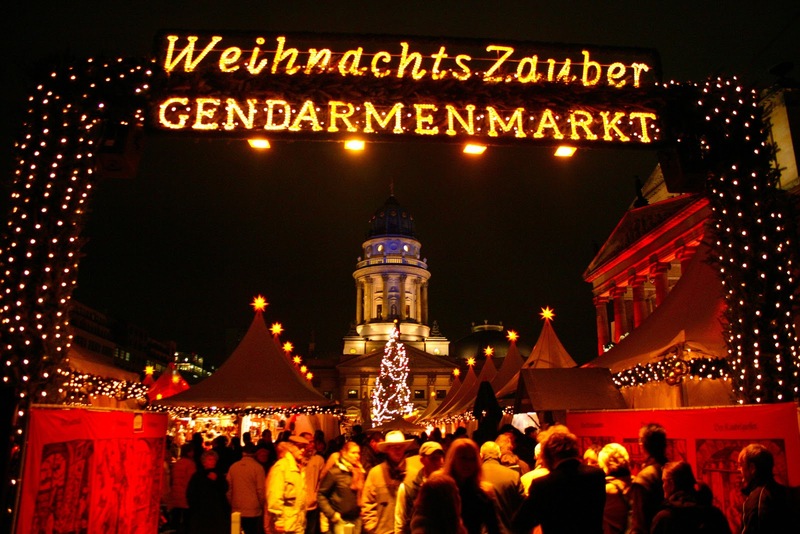 Photo: Courtesy of German Christmas Market.Org.UK. Unauthorized use is prohibited. Most of the markets are open Sun.—Thurs. 11 a.m. to 10 p.m., Fri.—Sat. 11 a.m. to 11 p.m., Christmas Eve 11 a.m. to 6 p.m. and New Year's Eve 11 a.m. to 1 a.m. on Jan. 1. But check before you make your plans especially after Dec. 23. Christmas magic lights up the Bremen Christkindlmarkt and the Schlachted Magic market along the banks of the River Weser. 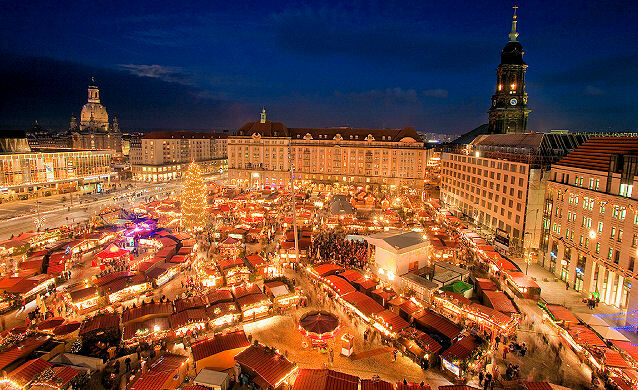 Photo: Courtesy of German Christmas Market.Org.UK. Unauthorized use is prohibited. 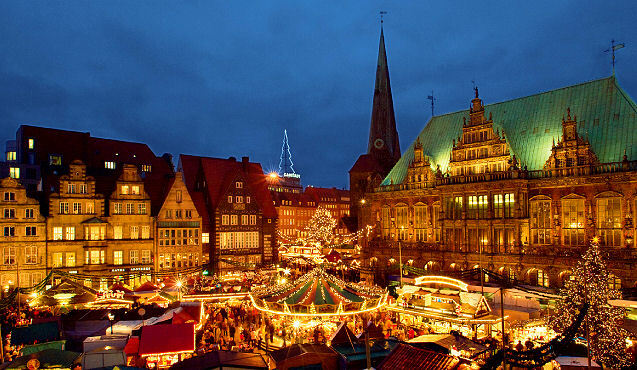 Considered one of Germany's most beautiful markets, the Bremen Christkindlmarkt and the Schlachted Magic Christmas market along the banks of the River Weser, offer all kinds of holiday excitement. From a Christmas tree expedition and a life-size Advent calendar you can walk through, to Nativity plays and even an appearance from Sinterklaas sailing onboard his pirate ship—a festive time for all! The Bremen market is open Mon.—Fri. 10 a.m. to 8:30 p.m., Sat. 10 a.m. to 9:00 p.m. and Sun. 11 a.m. to 8:30 p.m.
One of Germany's oldest markets, the Striezelmarkt or Striezel market dates back to 1434. 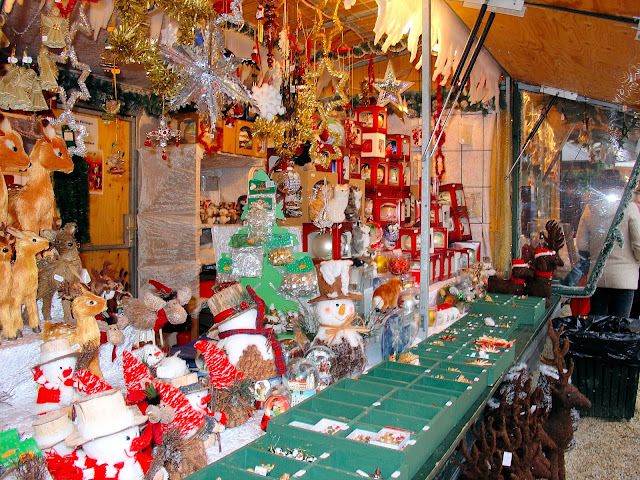 Photo: Courtesy of German Christmas Market.Org.UK. Unauthorized use is prohibited. Home to one of Germany's oldest markets, the Striezelmarkt or Striezel market dates back to 1434 and takes its name from a German pastry similar to our stollen which was known back then as striezel. Here you will find the world's largest nutcracker and the world's largest tiered Christmas pyramid towering 14 meters into the Christmas night. 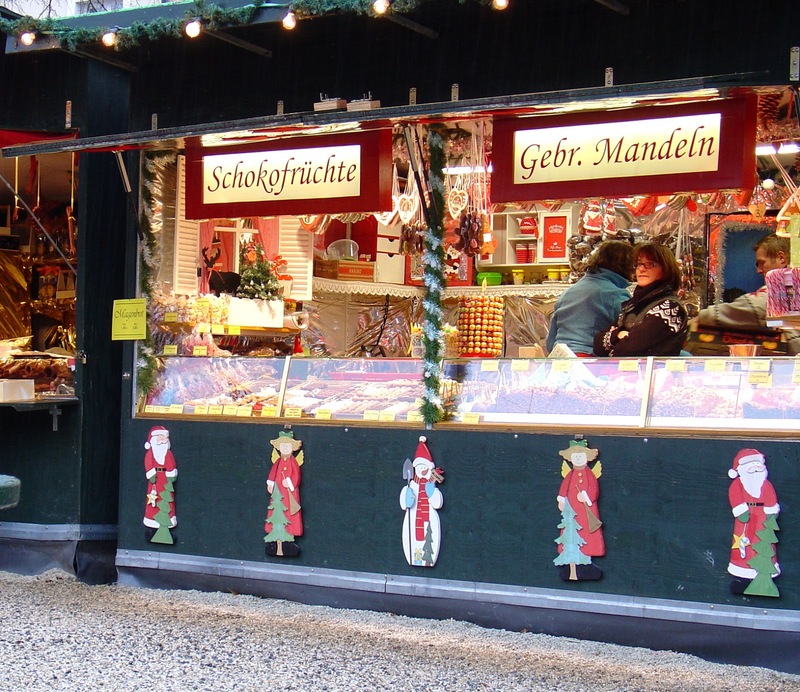 Also, seek out the "Christmas Mile," a stretch of Christkindlmarkts along the Prager Straße and across the Elbe River. The market is open Nov. 29 4 p.m. to 9 p.m., Dec. 1 through Dec. 23 10 a.m. to 9 p.m. and until 2 p.m. on Christmas Eve. 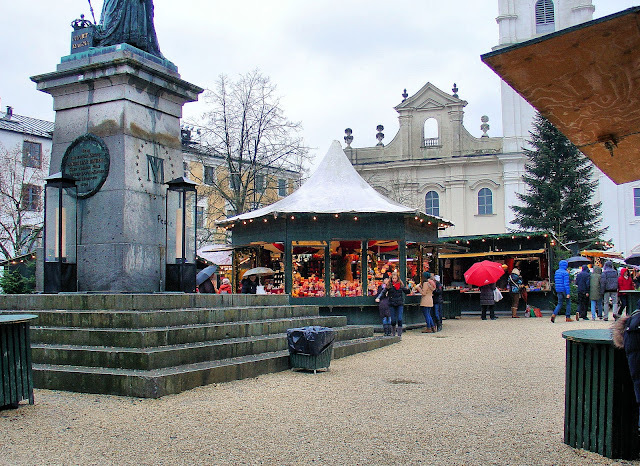 The Aachen market is a relative newcomer to the Christkindlmarkt scene and didn't open until 1973. Photo: Courtesy of German Christmas Market.Org.UK. Unauthorized use is prohibited. Relatively new on the Christmas-market scene and flanked by Belgium and Netherlands right next door, the first Aachen Christmas didn't open until 1973. With its market filling the village square surrounding the Aachen Imperial Catherdral, you'll find more than 150 chalets bursting with sumptuous foods and festive gifts. But what makes the Aachen unique is it's renown Printen, a local version of Gingerbread that is exported around the world. Sounds delicious huh? Here's a fun video of how this famous Gingerbread is made plus other holiday treats. 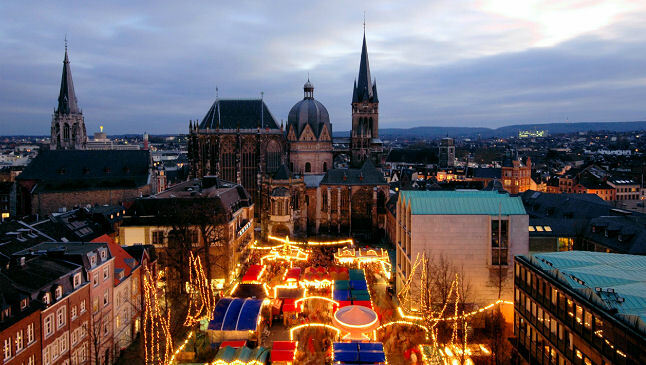 The Aachen Christmas market is open daily from 11 a.m. to 9 p.m. On Sunday, Nov. 26 only 6 p.m. to 9 p.m. and Dec. 23 from 11 a.m. to 8 p.m. The Römerberg, Paulsplatz und Mainkai squares in Frankfurt light up with the holiday spirit. 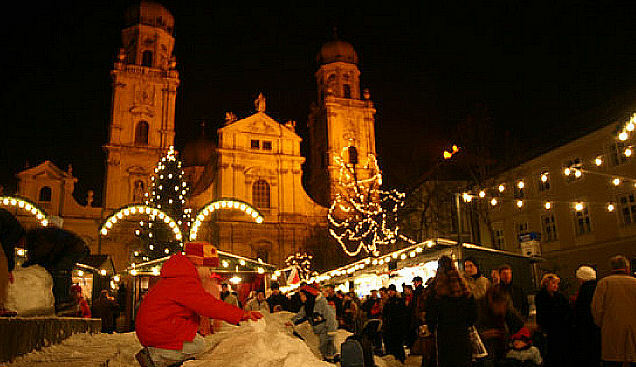 Photo: Courtesy of German Christmas Market.Org.UK. Unauthorized use is prohibited. 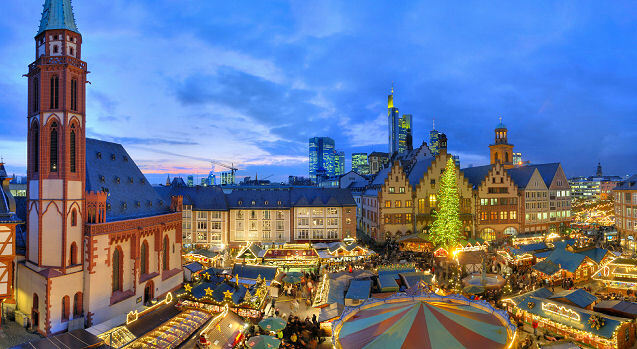 For more than 600 years, tourists and residents have visited the picturesque Römerberg, Paulsplatz und Mainkai squares in Frankfurt for one of Europe's most popular Christmas market festivals. More than 200 holiday chalets line the St. Nicholas and St. Paul Church squares and everywhere you roam, the intoxicating aromas of cinnamon roasted nuts, sweet fragrance of Glühwein (spicy mulled wine), and gingerbread, waft through the air. Enjoy panoramic views from the balcony of St. Nicholas', ride the carousel or grab yourself a cup of warm mulled wine and enjoy a 90-foot-tall Christmas tree lit up with yuletide cheer! The Frankfurt markets are open Mon.—Fri. from 10 a.m. to 9 p.m. and on Sun. from 11 a.m. to 9 p.m. The Nürnberg Christkindlmarkt lining Hauptmarkt Square is also known as the "Little Town of Wood and Cloth" due to its vibrant red and white ribbons decorating more than 200 Alpine chalets. Photo: WikiMedia.org. One of Germany's most famous, the Nürnberg market dates back more than 350 years. Also known as the "Little Town of Wood and Cloth" due to its vibrant red and white ribbons decorating 200 Alpine chalets lining Hauptmarkt square, the Nürnberg market is a feast for all senses from its traditional German-handcrafted nutcrackers and "prune people" to the renowned Nuremberg Lebkuchen (gingerbread) and Glühwein. Plus, follow your noses to the most sumptuous bratwurst as well. Don't miss the opening ceremony on Dec. 1 at 5:30 p.m. when the Christkind opens the market at the Church of Our Lady in the Hauptmarkt square and welcomes the new holiday season. 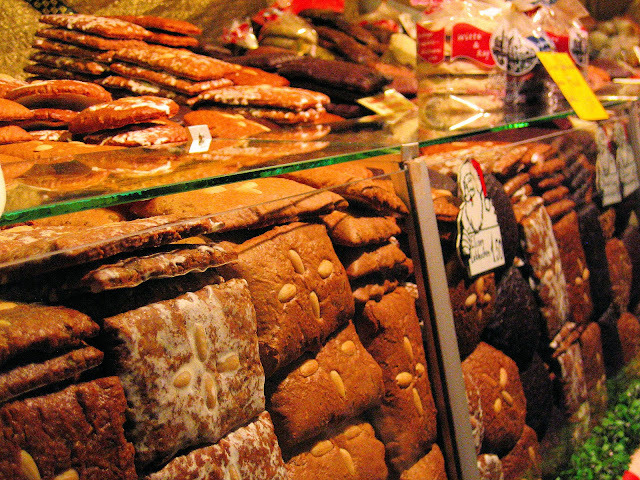 The market stalls are bursting literally with Nuremberg's renowned Lebkuchen or gingerbread. Photo: WikiMedia.org. Market opening: Dec. 1 at 5:30 p.m. at the Church of Our Lady in the Hauptmarkt square. After the ceremony, the market is open daily from 10 a.m. to 9 p.m. and on Christmas Eve from 10:00 a.m. to 2 p.m. 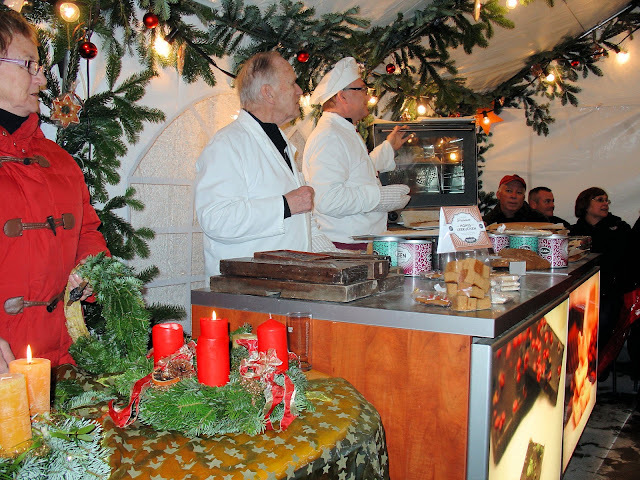 The Passau Christmas market is home to the oldest gingerbread recipe in Germany. 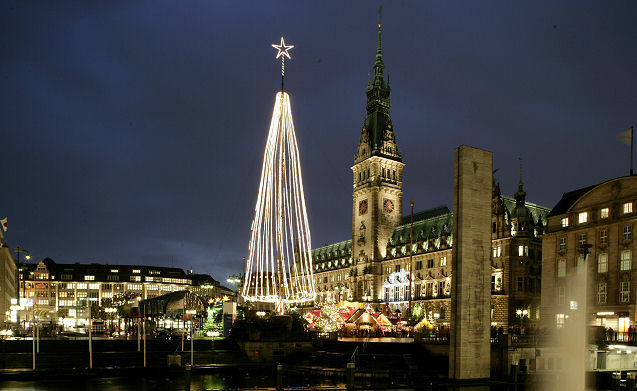 Photo: Courtesy of German Christmas Market.Org.UK. Unauthorized use is prohibited. Neighboring Austria and Czech Republic, the Passau Christkindlmarkt is home to the oldest gingerbread recipe in all of Germany. More than 70 markets line the historic city-centre near St. Stephan's Cathedral with festive chalets proffering their Christmas wares. Welcome to the Passau Christkindlmarkt. Photo: Property of EuroTravelogue™. Unauthorized use is prohibited. If you arrive early enough, you have the whole market to yourself! Photo: Property of EuroTravelogue™. Unauthorized use is prohibited. More Christmas gifts at the Passau, Christmas Market. Photo: Property of EuroTravelogue™. Unauthorized use is prohibited. 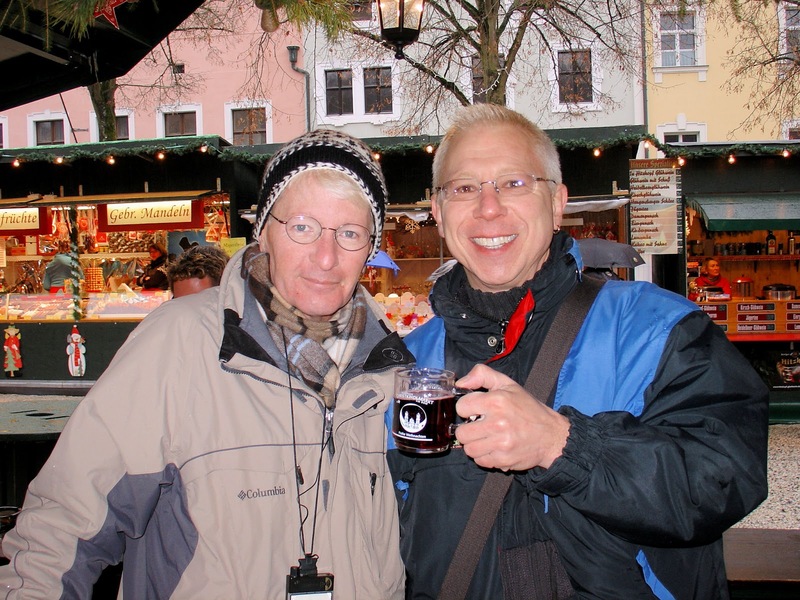 My very first cup of Glühwein in Passau. Photo: Property of EuroTravelogue™. Unauthorized use is prohibited. Attending a gingerbread-making demonstration in Passau with Viking River Cruises. Photo: Property of EuroTravelogue™. Unauthorized use is prohibited. 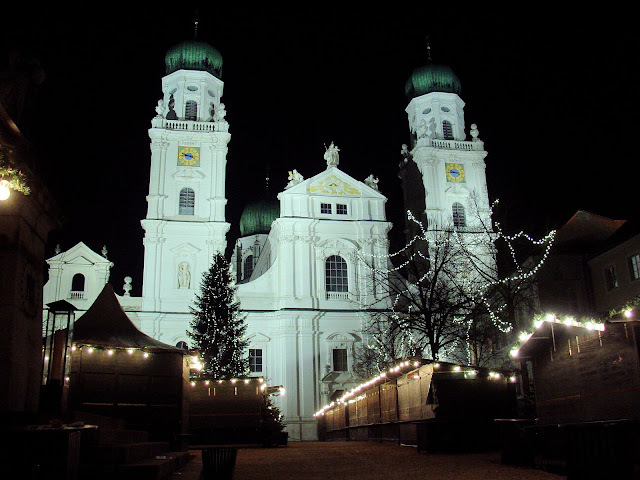 On approach to the Christmas market at St. Stephan's in Passau, Germany. Photo: Property of EuroTravelogue™. Unauthorized use is prohibited. "All is calm, all is bright" at St. Stephan's after the market closed. Such a beautiful time to enjoy the city. Photo: Property of EuroTravelogue™. Unauthorized use is prohibited. The Passau market is open Mon.—Thurs. from 10 a.m. to 8 p.m., Fri.—Sat. from 10 a.m. to 9 p.m. and Sun. from 11:30 a.m. to 8 p.m.
Munich's oldest market fills the Marienplatz or city centre. Photo: Jametiks. With more than 20 Christmas markets to choose from, Munich's oldest is in Marienplatz, the city centre, and dates back to the 14th century. Some of these Christmas markets are themed as well including a medieval market in Wittelsbacher Platz, a gay market in Stephanplatz, and a Nativity market or Krippermarkt. As you stroll along the avenues of festive chalets, you'll find Oberammergau wood carvings, sweet gingerbread, Crib figurines and glassware from the Bavarian forest. 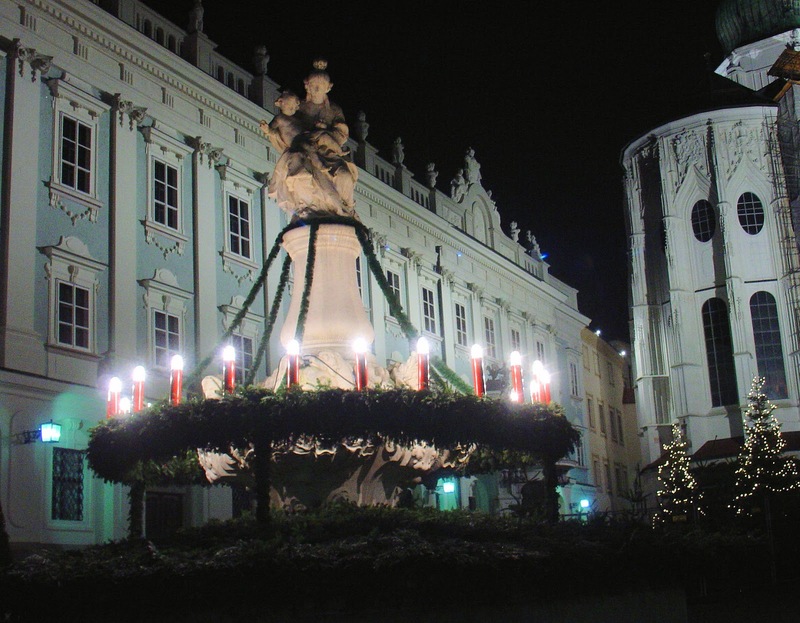 Each day in front of the town hall, a Christmas market concert is performed for all. Don't miss the Town Hall's "Heavenly Workshop" where children ages 6 to 12 can participate in arts and crafts, or bake Christmas cookies. Plus, with guidance by professional artists, kids can transform into heavenly angels for a short while. It's a fun time for all and it's free! Can you believe all this fruit is elaborately decorated Marzipan? The sweet almond confection is found throughout Germany and the world. Photo: WikiMedia.org. Opening ceremonies at Marienplatz square begin at 5 p.m. on Monday, Nov. 27. The Munich market is open Mon.—Sat. from 10 a.m. to 9:00 p.m., Sun. from 10 a.m. to 8:00 p.m. and on Christmas Eve, from 10 a.m. to 2 p.m. for those last minute gifts! The storybook village of Rothenburg is found along Bavaria's Romantic Road and enchants its visitors at Christmastime and throughout the year. 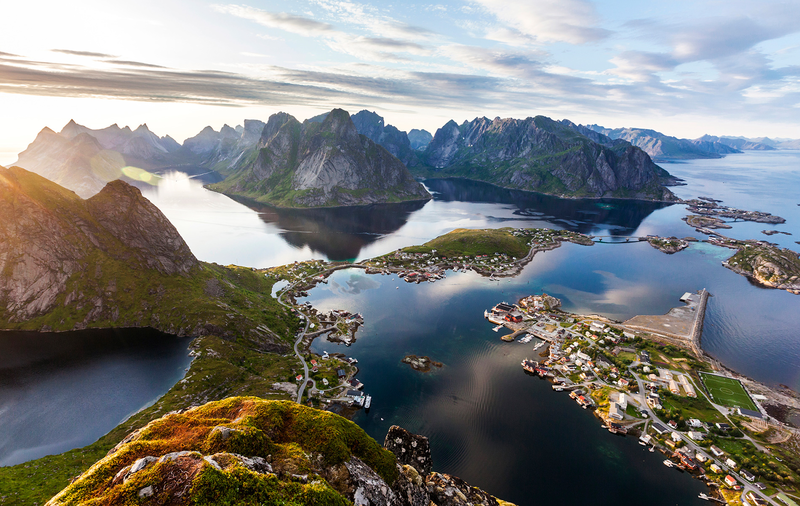 Photo: Courtesy of Bayern Tourism. Unauthorized use is prohibited. Dating back to the 15th century, it's no wonder that the Reiterlesmarkt or Rothenburg Christmas market along Bavaria's Romantic Road enchants all who visit during the holiday season. Within this medieval walled city untouched by time for hundreds of years, you'll revel in holiday delights as you stroll along the festively decorated lanes and sample the savory German confections including the Schneeball or snow ball made from sugar-covered fried dough with drizzles of chocolate. Also, seek out the bratwursts among other Franconian treats—the entire experience is a festive feast for your eyes and palates! Rothenburg Christkindtmarkt is home to the "schneeball," a German confection made of fried dough and covered in sugar. Photo: Bayern Tourism. Unauthorized use is prohibited. The Rothenburg Christmas market is open Mon. — Thurs. 11 a.m. to 7 p.m., Fri. — Sun 11 a.m. to 8 p.m. Surrounding the Neupfarr Church, the Regensburg market dates back to 1791. Photo: Bayern Tourism. Regarded as one of the 10 most beautiful Christmas Markets in the world, the Regensburg market dates back to 1791 and delivers the quintessential Christmas market experience that appeals to all of the senses. Surrounding the Neupfarr Church in the middle of the square, the market is tapestry of festive splendor of twinkling lights and festooned chalets brimming with Christmas gifts and savory delectables—all set against the backdrop of beautifully decorated medieval architecture. 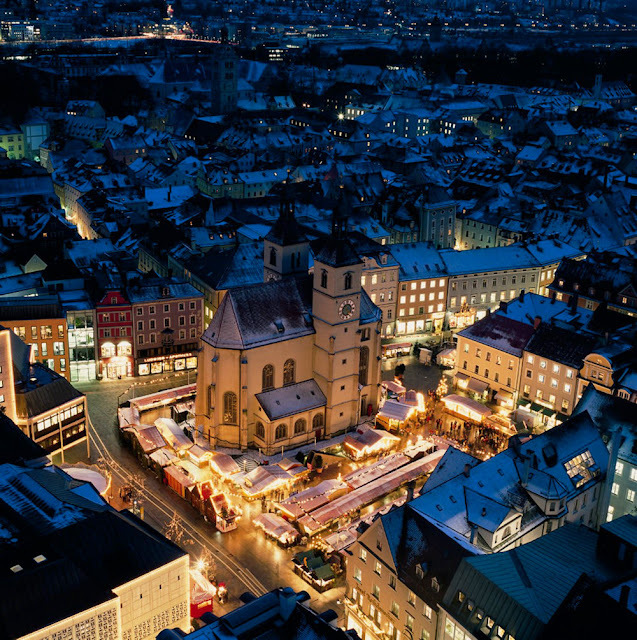 The Regensburg Christkindlmarkt is open Sun.—Wed. from 10 a.m. to 8 p.m. and Thurs.—Sat. from 10 a.m. to 9 p.m. The magic of Christmas comes alive in Kemptener Weihnachtsmarkt or the Kempten Christmas market which, by the way, is one of the largest and most beautiful Alpine markets in all the Allgäu region of Germany. Located at the Rathaus or Town Hall, savory indulgences await and not-to-miss tasty morsels include the roasted chestnuts, crepes and Christmas confections of every sort. Grab some mulled wine and watch the sea of humanity ebb and flow between the Alpine chalets in the Kempten town square. And as a special treat for kids, have them post their letters to the Christkind or Christ Child in the town centre's post office. The Kempten market is open from Sun.—Thurs. from Noon to 8:00 p.m. and Fri—Sat. from Noon to 9 p.m.
For the most comprehensive guide online to all of Germany's Christmas markets, I urge you to visit GermanyChristmasMarket.Org.UK for all the details and planning information you'll need to make the most of your visit to Germany during this most wonderful time of the year! Throughout the holiday season, I plan to explore more of these enchanting markets throughout Europe with my sights set on Austria and Switzerland, so be sure to check back here for more updates on some of Europe's best. Have you visited Europe's Christmas markets? Which is your favorite? What do you crave most when you visit? Please share your tales below and if you like, send me a snapshot and I will include it in an upcoming article. Wishing you and yours a most joyous holiday season. Storybook villages of Alsace, France light up with Christmas cheer! Fab photos! Wow! Germany is never on my list but has been changing! Hi there Ana and thank you so much for your kind words and for sharing your thoughts. Glad to put Germany back on your radar too! Love this post! Some of my top travel memories involve German Christmas Markets. Last year, I was lucky enough to experience them in Berlin, Hamburg and Lubeck. 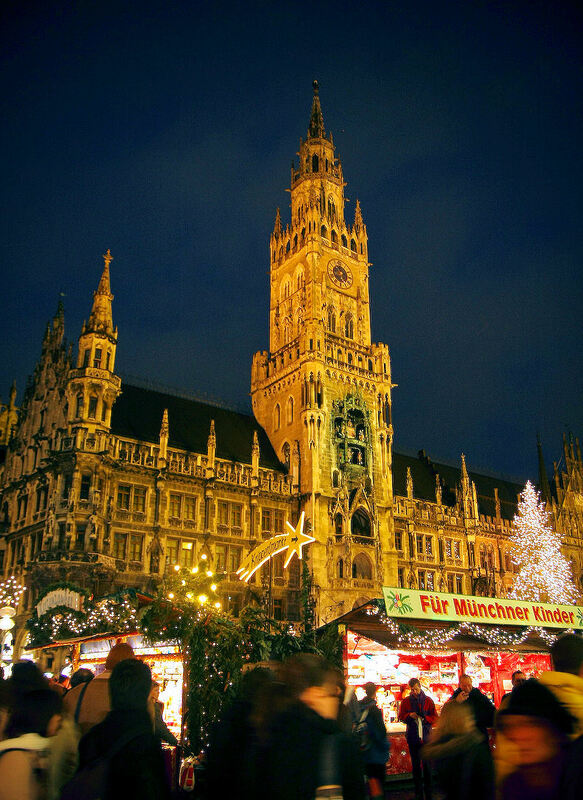 So excited that I'll get to sip a little glühwein in Munich this year! Hi there Cathy and thank you so much for your kind words and for sharing your experiences too! Please have two cups of glühwein for me while you're in Munich and some gingerbread too! Debbie, I am so there with you! Rothenburg looks enchanting to say the least, doesn't it?! One year, we will do the markets together—my promise to you! Thank you so much for stopping by to share your thoughts and kind words! I am... speechless. It's so enchanting. I'll be to the other side of the world at Christmas and in the other hemisphere, and while I'll surely enjoy the sun and warm weather, I'll miss a bit of the European Christmas atmosphere. HI there Simon and thank you my dear friend for stopping by to share your thoughts and Christmas plans! One year, I hope to share an evening with you in Europe at one of these or any of the other Christmas markets throughout. I love going to Christmas markets and yes, Christmas Markets in Germany. It's sooo enjoyable seeing so many hand-crafted items. Hi there Marlys and thx so much for stopping by my friend! One day, I want the grand tour from you!! From Paris to Germany...so getting ready for a Christmas Market hiking adventure! Gorgeous post, Jeff. All those stunning pics make it an immersive experience. From snow to markets to tanenbaum traditions, Germany surely must be the top Christmas destination in the world! Hi there Lesley and thank you so much for your kind words. I had a lot of fun putting this together and wanted to cover even more. However, I must move on to Austria and Switzerland to see what they have to offer. I'm so excited to visit some of the Christmas markets this year! Last year I went to a bunch of different German towns, but it looks like I'll stay mostly in Berlin this winter. I'm most excited to visit the Spandau market. Hi there Adam and thanks so much for stopping by and sharing your thoughts. I would love to post some of pics upon your return. Agree about Spandau, it's amazing! HI there my friend and thx so much for stopping by. I wanted to include Cologne but as you can see, this post is a whopper...however, I will feature in the future. Thank you for your suggestion and link too! I haven't been to any Christmas Markets in Germany yet! Sadly I don't think we'll make it to Germany for them this year but some are definitely on my list! Gorgeous shots capturing the magic of these markets! I have also been to over 1,000 Christmas Markets across Europe but Germany still holds my heart as the best. One of my favorites is Regensburg as well as Stuttgart and I always recommend overnighting in Rothenburg - it is so much more romantic when the large groups leave. I look forward to this year's market - I am visiting Ludwigsburg for the first time, and am hitting almost all of the above again! Thank you so much for sharing this post! Hi there Christina and thank you so much for stopping by and for your kind compliments. You are so fortunate to have visited so many markets...I am envious! Thanks for your recommendations as well. Look forward to your report on Ludwigsburg and if you want, please send me some pics and I would be happy to post them on my site! Thank you again for everything! Great pictures! My favorit is Regensburg, and there not the main markets, but the romantic christmas market in middle of the famous castle of Thurn & Taxis. You should miss that! http://www.thurnundtaxis.de/events/weihnachtsmarkt.html. Hi there Andy and thank you so much for stopping by and sharing your experiences and that link too. I need to check this out as soon as I can. Looks enchanting my friend! Those lights are beautiful, it certainly seems magical! Hi there Jen and thx so much for stopping by and for your kind words! The European Christmas markets certainly are magical! Thanks for a really nice post!! I just moved to Berlin and love this thing with Christmas markets. I will definitely check the one at Spandau - I heard that it is supposed to be one of the best. I also think I will go to the one in Charlottenburg... A really nice post, and something I will save for future visits in Germany. Hi there my friend and it's my pleasure. I am so happy you enjoyed the post and how lucky that you now live in Berlin! I want to come visit! Thx for stopping by and sharing your thoughts. 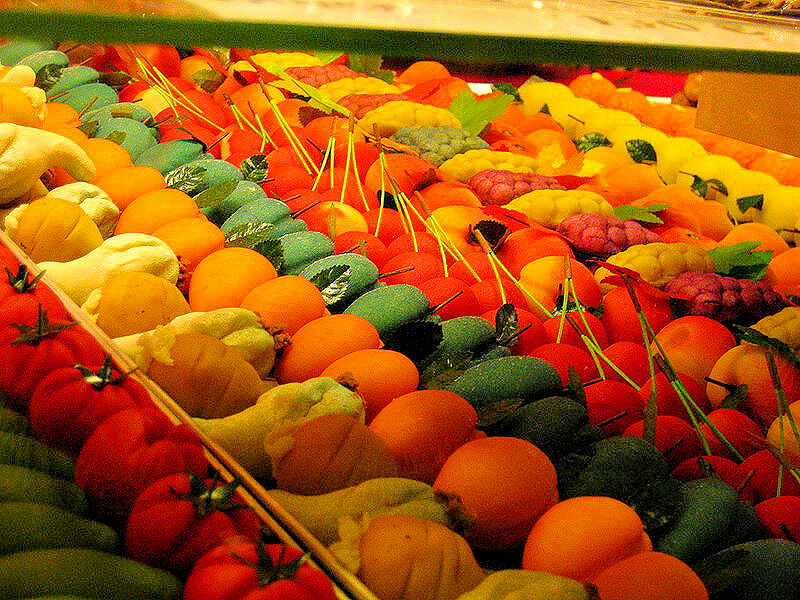 We have a sort of Marzipan fruits here in Sicily. But they are cooked in October! Hi there Calogero and thx so much for stopping by. What are you similar Marzipan treats my friend? I would love to hear more about them. I bet they're delicious! What wonderful photos. Germany at Christmas looks like a fabulous place to visit. Love the lights and ambiance that the pictures create. Thanks so much for sharing these. Nice post. Hi there Pam and so happy to meet you! Thx so much for all of your kind words and for stopping by to share your thoughts! I am so glad you enjoyed the post...I had a lot of fun putting it together! Happy Holidays to you! Hi there and thanks so much for stopping by. I would just love to wander around the markets during a snowfall! Enchanting to say the least! I LOVE THIS POST. Ahhhhh! Dresden, Regensburg and Rothenburg look fabulous, but then again, they all do. I'll be in Korea for Christmas this year, but for December next year, Germany is the ONLY option for me. I wish I had more folks like you commenting on my site. You clearly made my day and month! I had such a great time pulling all of this together and now, I am undertaking Austria as we speak. I hope you come back to check it out. The Orient must be a fascinating place during the holidays to see how the Asians embrace the Christmas traditions ... I don't know much about it and would love to hear from you with pics of course, of your experience. Lastly, Germany is a great place to start but the Christmas markets in Alsace are just as enchanting as I am sure the rest of Europe is to! Thank you so very much for stopping by! What an awesome post! Thanks for putting it together. Definitely helps in convincing my much-better-half that we need a holiday trip to tour the markets! Thx so much for your kind words my word! And it is my pleasure for I had such a wonderful time pulling all of this together. Now, be sure to convince your other half to see the "Christmas Light." Thx for stopping by and sharing your thoughts! Wow, this post brings back great memories of the Avalon Christmas market cruise I took with my mother. Truly stunning photos of a remarkable cultural tradition. Hi there and thx for stopping by!! It is my dream to do a river cruise thru Europe during the holidays! Your trip must have been an amazing voyage my friend!! thx for sharing your thoughts!! In a few years we will take them to Germany so that they can experince it in person. Thanks you so much & Happy Holidays! Hello there Anonymous and thank you so much for stopping by and for your kind compliments! Glad you and your family enjoyed the tour. Please come back and share your experience once you and your kids make it to Germany. I would love to hear your thoughts! Another tip for Hamburg - you can get the best Glühwein (Feuerzangenbowle) at the Gänsemarkt. It's a smaller christmas market just one or two blocks away from the one at the town hall - but not that crowded as the big one. Hi there Andre and thx so much for stopping by and adding your tip as well. I will be sure to include it when I update this article in November! I am already looking forward to it. They are all so beautiful - but Rothenburg looks amazing!! Hi there Valerie and thanks so much for stopping by. I am so glad you enjoyed the tour...I too want to travel to all of these...so many to see in Germany and throughout Europe. My dream is to spend the month of December exploring the European Christmas markets! And yet, Rothenburg does look amazing, enchanting too! Where else in Europe would you like to see the Christmas markets? Hi again. Wow, that's a loaded question. ; ) Would love to see UK, France, Austria, Switzerland, Italy, Czech, Brussels, Netherlands...pretty much a tour through every European nation...but highest on the list are probably, France, Switzerland, Austria and Italy. That would be a dream after seeing all of Germany's markets of course. Germany is a great country and a perfect tourist destination to enjoy vacations. On my last vacation I was at Berlin and I really enjoy there specially I live Christmas market. Hi there Vince!! Thank you so much for stopping by! I agree that Germany is a fabulous country and I will finally see Munich and Passau this December!! Can't wait to see those Christmas markets. Glad you enjoy them too!! Hi there my Anonymous friend and thank you so much for sharing your comments! I agree wholeheartedly of course! Yep, these are the festivals I mentioned in my last comment haha! Great post! Hi again! So glad you liked this post too!! Your parents will LOVE the Christmas markets! Thank you again! You are making us all feel very Christmassy (i know it is not a word!). 2014 is earmarked for our fist winter, if not white, Christmas in Europe. This article is stunning as per usual and gives me a lot to think about. I want it all and may well go for the lot. Keep it coming and I will send photos of our beach Christmas in Australia. Prawns, oysters, crab, champagne - a little different. Hi there my good friend!! Thank you so much for stopping by yet again! And I think Christmassy is a fine word during the holidays! Wonderful about your upcoming trip to Australia!! Looking forward to all of your updates! Hi there Julia and thank you so much for stopping by to share your travels to the Christmas Markets. That's quite the circuit!! If you visit more, please stop back and share your enchanting tales. Thank you! I too, would love to travel the Romantic Road...high on my bucket list for sure! Thank you for stopping by and sharing your link as well! All good information. I was on the Viking Bragi (Romantic Danube)Budapest to Nuremberg in Dec, first time in Europe at Christmas time. I'm so happy I found your site. We are hooked! my husband and I plan to go every year and visit the different markets each time. Your pics are fabulous. I wish everyone could experience how wonderful Christmas in Europe is. HI there Denise and thank you so much for finding my site and sharing your holidays in Europe too! It was my first time in Europe during the holidays and I loved every second of it!! 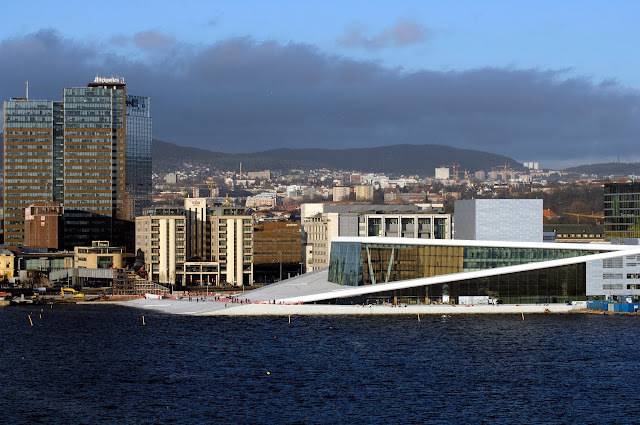 Superb as was Viking Cruises too. 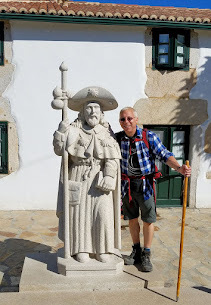 Please check out my last three articles about my Viking River experience with lots more pics and information. And please sure your journeys each year with me right here. I have always sort of shrugged when people talked about the romance of Europe in winter, but this post and these Christkindlmarkts are doing a heck of a job changing my mind. Any idea what time they are starting in 2015? Thanks in advance for your answer. I am so HAPPY to hear that! Most of the markets open on 25 NOV and run through 23 DEC. Here is a great site for your reference: Germany Christmas Markets. Enjoy and please stop back here should you decide to visit the Christmastime magic of the markets. Wow....this is incredible! Amazing & informative post, thank you very much!! I have always overlooked Germany as a place I wish to go to in the future, but not anymore! In fact it may have just risen right to the top of the list! What a breathtaking atmosphere and culture. Hi there my friend! You just put the biggest smile on my face!!! Thank you for all of your kind words. So happy to hear that Germany has moved to the top of your list, it really is a wonderful country and positively enchanting during the holidays, as you've seen above! Please stop back when you do make it there and share some pics too!